Whats app is a most popular chat app on the world. In this video tutorial i will teach that How to Hide Profile Picture on Whatsapp in very easy step by step. You can learn Whats app Tips and tricks. 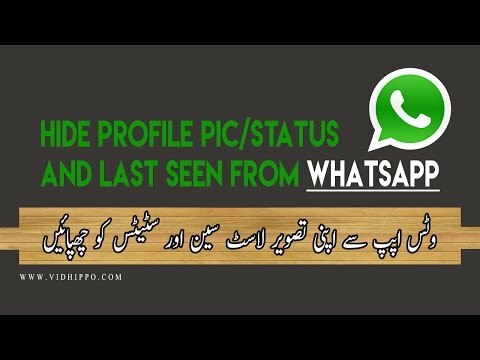 in this video you can teach how to hide whatsapp status to your friends. Now you can hide profile picture on whatsapp from your friends. if you Want hide whatsapp last seen from your friends than watch this video tutorial.